Annalee Doll Description: Open eyes, grey body, grey hair. 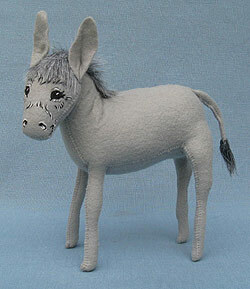 Great gift for any Democrat or donkey collector. Compliments the Annalee Nativity - Human and Mouse Series. Sue Coffee Exclusive.